Among the crowded streets of New York City, you can find the members of Syvia, an electro pop group that is definitely doing something right with their music. Headed by vocalist, Ruth Mirsky, their track "Two Homes" just got reworked by VZLKS (aka Alex Vazelakis), a fellow New Yorker and producer. VZLKS works with a wide variety of genres, but can turn any track into a rad remix. He has taken the original electro pop track from Syvia and giving it enough energy to thoroughly rock the dance floor. The remix has strong energy while balancing that out with some altered vocals to add a bold and eerie touch. Have a listen and be prepared to get amped up with this track. 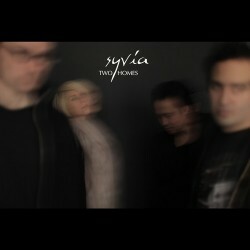 @syviamusic earmilk! Thank you for the awesome post!! !